Amber Heard is a victim of domestic violence at the hands of Johnny Depp, according to TMZ. In a May 27 court appearance, “Heard showed up with her lawyer, Samantha Spector, armed with photos showing various bruises … she claims Depp inflicted various times during their marriage,” according to reports. A photo obtained by the celebrity news website shows the 30-year-old actress with a red bruise around her eye. Reportedly, the bruise was inflicted on Saturday night as a result of Depp slamming his iPhone into her face. TMZ is also reporting the “Pirates of the Caribbean” actor offered Heard hush money to remain quiet about the abuse. The couple began dating in 2011 when the pair met on the set of “The Rum Diary” and would later marry in two ceremonies—once at their West Hollywood home, and then again in a beach ceremony in the Bahamas, both in February 2015. Once married, Heard expressed her fear in losing her identity, as a married woman. “I have a fiercely independent spirit—the thing that really scares me is the potential of losing my freedom. I never want for my life to lose the ability to transverse the world, with freedom and ease. The freedom and ease I have worked so hard to acquire for myself,” said Heard in the July 2015 issue of Elle magazine. Despite the large age gap between the pair, Depp stated the two had lots in common. The couple was married without a prenuptial agreement and Heard has asked the court for spousal support—claims Depp opposes. 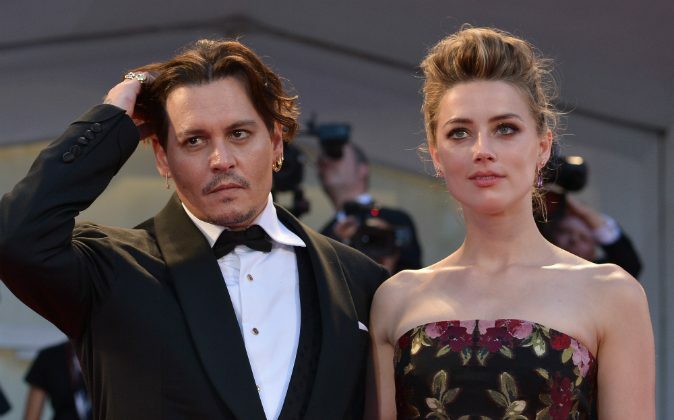 Depp filed a response on May 25, asking the court to “terminate the court’s ability to award support” to Heard, as well as have the actress pay her own attorney’s fees.